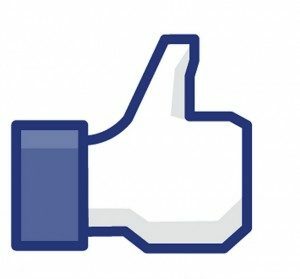 The question of, “how much is a Facebook Like worth?” comes up time and again; along questions about with how much should you pay for a campaign and what can you expect for that money. Facebook marketing has grown in popularity and social media is booming. And the more likes you have, the more likely you’ll show up in search results. Here we try to answer how much a Like is actually worth. How much is Facebook Like worth? It’s a very hard question and there are many opinionated “answers”. An objective assessment should be based on facts. According to PC World, a Facebook Like worth can range from nothing at all, or as little as $3.60, to as much as $22.93 for a running business or an astonishing $214.81 for a nonprofit organization. The more relevant the Likes are, the better it is for you. If you have thousands of likes from friends, or people who aren’t interested in what you’re saying, then you wont generate any profit off of them. If your likes are from actual fans, then the Like is worth much more. And if you’re paying for Likes, you still need to make sure they’re a part of your targeted audience. When people are attracted by your posts, they’re more likely to engage with you. If your niche is small and focused or your Facebook page does not have much competition, the value of your Facebook Likes goes up drastically as well. It’s also good to think: what is the purpose of my Facebook page? Is it brand awareness and confidence? In that case, a prospect who sees 300,000 Likes for your Facebook page will definitely perceive this as a strong endorsement. Or is your Facebook page an additional active venue to promote and sell your products or services?